Rapid shock is a fast dissolving formula for use weekly, after heavy pool usage, and after rain or windstorms. 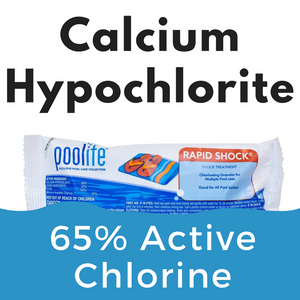 It works fast to bring your chlorine levels into balance, ridding the water of contaminates and keeping it ready for a refreshing, clean swim. 1lbs per 10,000 gallons of water.